Feast your eyes! 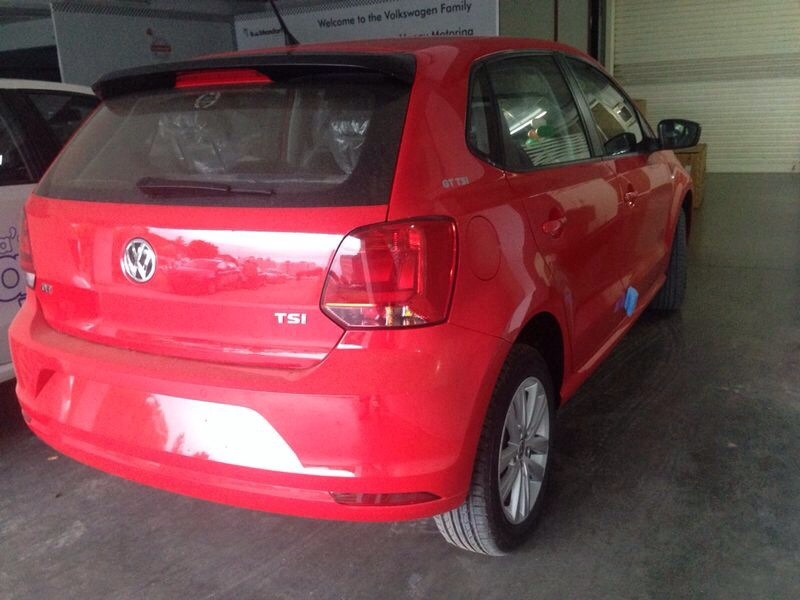 This is the 2014 VW GT TSI. 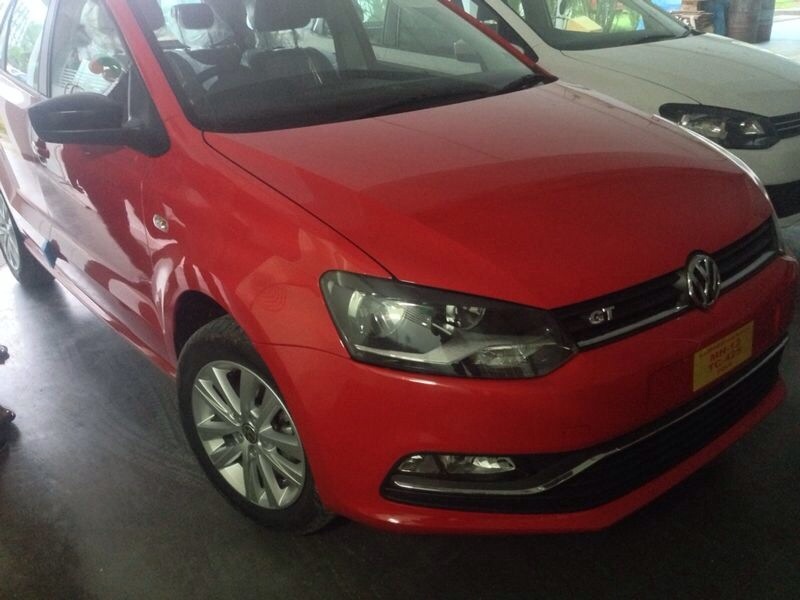 There are a few changes from the previous GT TSI, and we think they’re for the better. 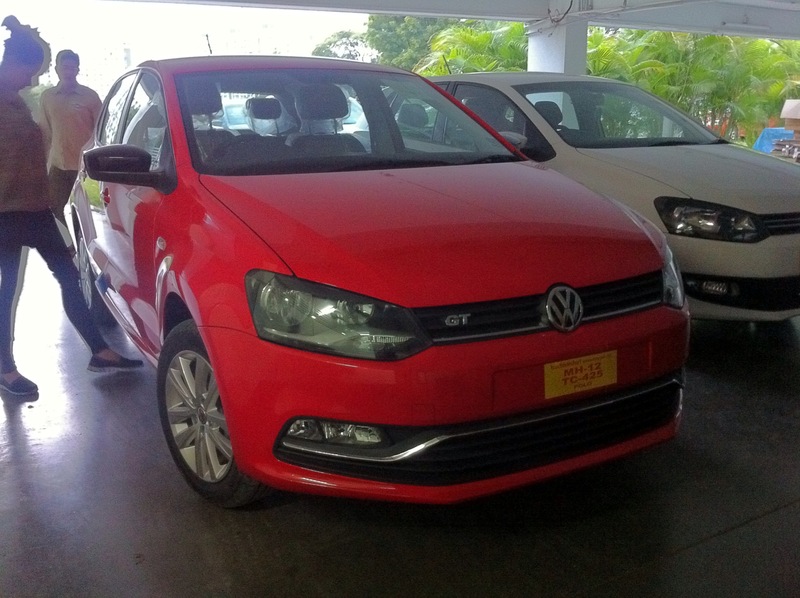 Externally similar to the new Polo GP, changes are as follows: 1) Grille with GT badging on the right side 2) Gloss black casing on external rear view mirrors 3) Gloss black spoiler at the rear 4) 185/60 Apollo Alnac tyres on sporty alloy wheels from the previous generation VW Polo 5) Spare is a 14″ steel rim 6) Interior wise, the aluminium silver finish around the RCD 320 head unit and AC vents is replaced by a piano black finish carried over from the GT TSI 6) The 2014 GT TSI also gets all black interiors, much to the liking of enthusiasts. No beige anywhere 7) The seat fabric, called Milan Titanschwarz, is carried over from the previous GT TSI The 2014 GT TSI is powered by the same 105 PS 1.2L turbo charged petrol engine, mated to a blistering quick dual clutch 7 speed DSG gearbox. Deliveries of the GT TSI have started, but with a low production volume, enthusiasts might have to wait a little big longer to get their hands on their tiny sports cars. 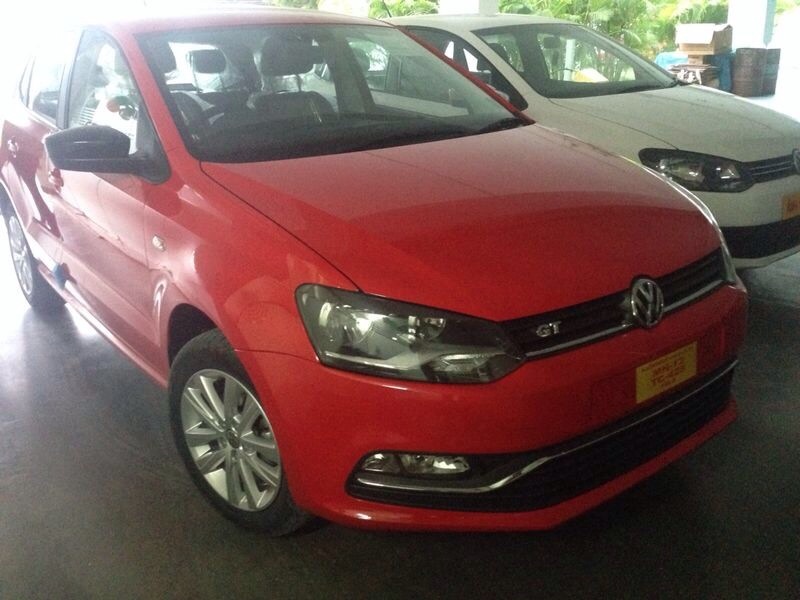 The Polo GT TSI is priced at Rs. 7,99,000/- ex showroom and is available in 3 colours: Grey, White and Red. A detailed road test will follow soon. Watch this space for more, as always.